Lely recognizes two more recipients of the Lely North America 2016 Future of Dairy Scholarship Program who were each awarded a one-year, $1,000 scholarship. 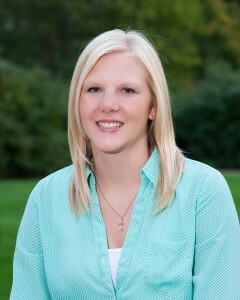 Sara Roerick of Upsala, Minnesota, is in her second year of veterinary medicine at the University of Minnesota. She graduated with a bachelor’s degree in animal science at the University of Minnesota in 2015 and has worked on her family’s dairy operation and completed several internships in the ag industry. Roerick has been active in 4-H along with many other activities and honors. Robotic milking and feeding equipment truly has been a game changer for the dairy industry. Not only can the equipment help reduce the labor required for each individual animal, it provides more information for farmers than they have ever had, allowing them to monitor and manage their cows more effectively by using their time more efficiently. In today’s world, this can appeal to the younger generation of farmers who demand more and more information by the touch of a finger. The information can allow them to monitor the health and productivity of their animals, in turn helping them to catch and treat sick animals sooner, detect heat cycles more adequately for a better reproductive cow, monitor conductivity/quality of milk from individual cows every day, and the list can go on from there. Instead of spending time in the barn milking cows with a parlor or stanchion milking system, time can now be spend managing cows better in other areas. Another scholarship recipient is Chelsea Schossow of Ridgeway, Minnesota, who is majoring in dairy producation at South Dakota State University. 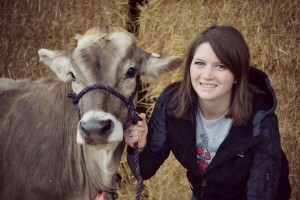 She has worked on her family’s dairy operation and completed several internships in the agricultural industry. In addition, Schossow has been active in 4-H and FFA for many years along with many other activities and honors. Dairy farming has always been an around-the-clock job. With robotic milking, the same is true yet in a slightly different aspect. Dairy farmers no longer are up at the crack of dawn, nor are they staying up well past the setting of the sun. Instead, robotic milking has allowed farmers the privilege of spending more time with their families and becoming more active in the community. Dairies that use these milking and feeding technologies have been beneficial to boosting consumer confidence. Many of the farmers serve on regional boards such as the Farm Bureau and their respective milk co-ops, aiming to help raise awareness of how important dairy farms and dairy foods are. Also, many robotic dairies are at the top of the charts for farm tours. Congratulations to all of the 2016 scholarship winners!